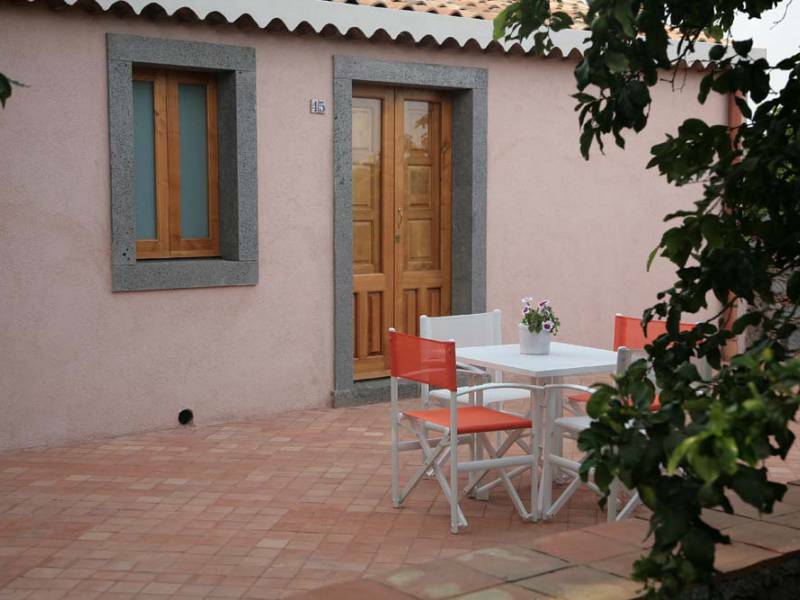 This agriturismo is situated between the organic lemon trees, 500 meters from the beach. The agriturismo has mountain bikes, so you can take a bike to go to the beach or the nearby village. Tourist attractions such as Catania, Siracusa, Noto, Agrigento, Taormina and Giardini Naxos are easy to reach from the agriturismo. Also the volcano Etna is worth a visit. 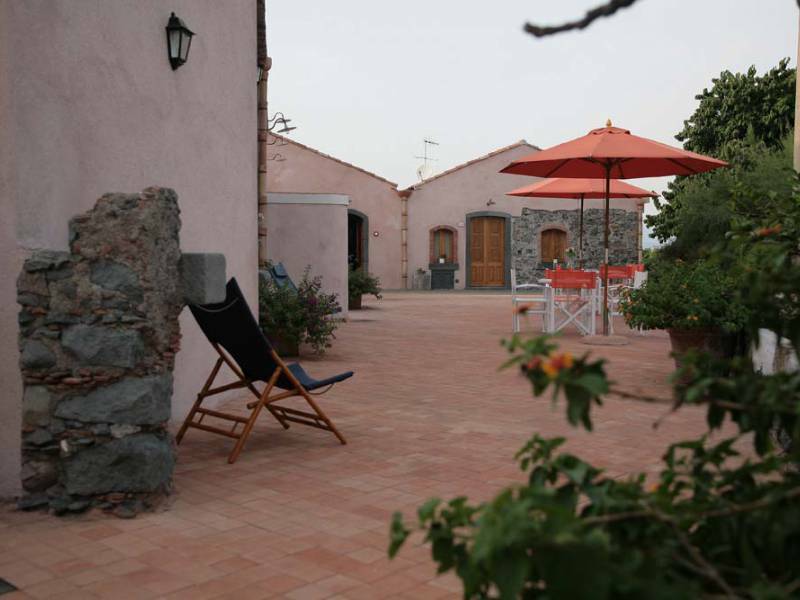 The agriturismo consists of 4 restored farmhouses in which the rooms are located. Two farmhouses form the central part with the swimming pool, restaurant with terrace, and playground. The agriturismo has bikes that can be used to go around the fields of the farmhouse. The rooms are simply but nicely decorated and have a private bathroom, satellite TV, air conditioning, refrigerator and internet access. Every room has a seat on the terrace. This agriturismo is a suitable location to combine a day at the beach with a visit to one of the many beautiful places in Sicily. 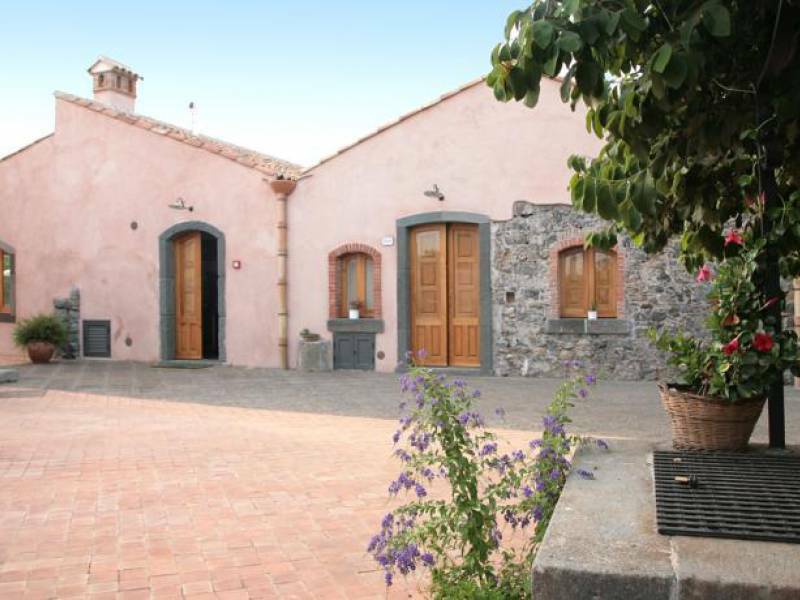 Also, the agriturismo is easy to reach from the airport of Catania. The rooms are simply but nicely decorated and have a private bathroom, satellite TV, air conditioning, refrigerator and internet access. Each room has a table and chairs on the terrace. The superior rooms are located directly near the pool, reception and restaurant. My Italy uses the official prices of the farmhouse and you pay no booking fee! Prices are per room per night including breakfast. Children up to 4 years free. Extra bed: € 20 per night. The superior rooms are located near the pool and restaurant. Standard rooms are located in a different building, approximately 1 km from the restaurant and pool and are not rented by My Italy. If you book 4 nights, you pay only 3 nights. In high season (01/08 - 27/08) minimum stay of 4 nights. In other periods minimum stay of 3 nights. Until 06/03 only Saturdays for dinner and Sundays for lunch. From 07/03 to 06/11 every day for dinner and Sundays for lunch.